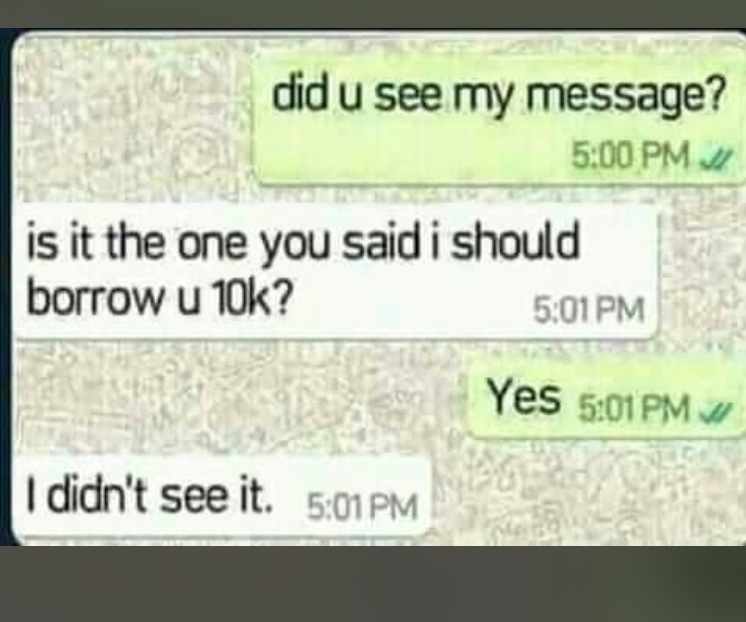 Just for Laughs, “Is it the one that I should borrow you 10k”? I didn’t see o? wetin money dey cause? Money can just make you fool yourself. See this guy not agreeing to have seen wetin him type?